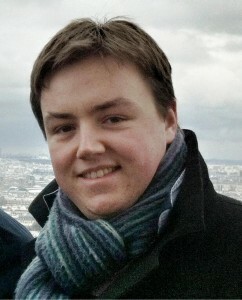 Gethin was interested in French language and culture from a young age, and having completed his degree in Linguistics and a year in North Wales with UCCF’s “Relay” training and discipleship scheme, Gethin moved to Paris in September 2009 to work with the “Groupes Bibliques Universitaires” – the French Christian Union movement – for two years. During those two years he gained a deeper understanding of the Church situation in France, and began to feel that maybe he was called to spend more than just two years there. Having finished his time working with the Christian Union movement, Gethin worked in a school for three years, taking the time to know the city better and supporting church planting efforts. He is currently pursuing theological studies at Westminster Theological Seminary in Philadelphia, USA, and hopes to return to Paris to serve there long term after graduation (hopefully in 2017). He hopes also to fulfil some (or all) of his placement requirements in Paris during the winter and summer breaks.